Join Ben Berry, CEO of AirShip Technologies Group as he shares Tuskegee Airman Ben “Flaps” Berry’s story at WARBIRDS OVER THE WEST. 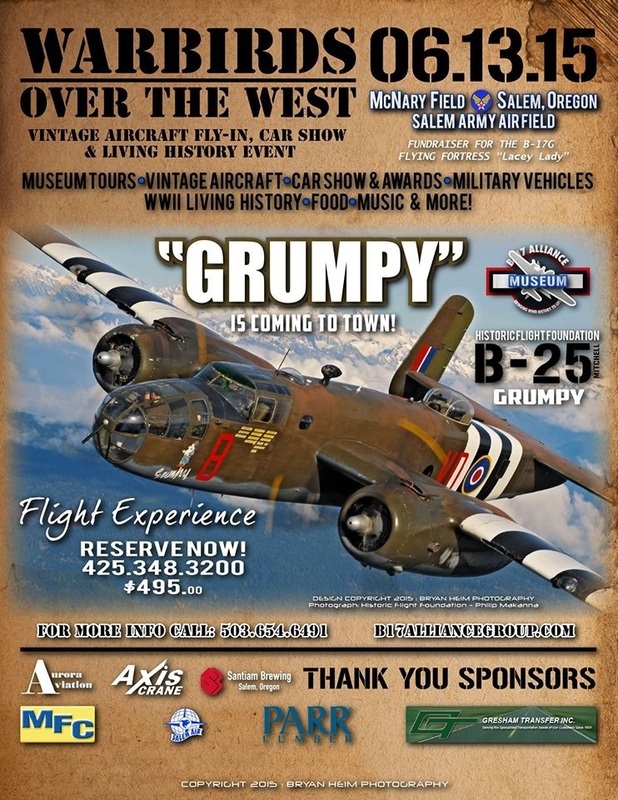 This is our biggest fundraiser of the year for the “Lacey Lady”, a World War II B-17 Bomber. In an effort to preserve our Veteran’s precious stories for educational purposes, this event will be video taped and the author’s book “Tuskegee Airman To the Moon Mars and Beyond” will be available for sale. The presentation starts at High Noon on June 13, 2015 in the B-17 Alliance Museum “Showcase” area. The location is 3278 25th St. SE, Salem, OR. 97302. When you get off of I-5, take Exit 253 to the Santiam Hwy. Go RIGHT, then you'll take a LEFT at the 2nd stop light onto 25th. You'll see signs as you proceed and should be able to find it from there easily. Go to the B-17 Alliance Restoration & Museum site.